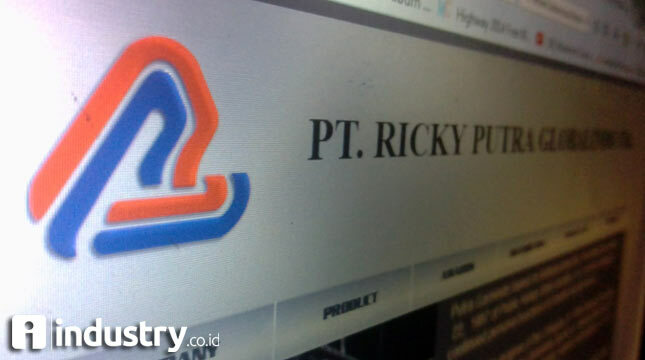 INDUSTRY.co.id - Jakarta - PT Ricky Putra Globalindo Tbk (RICY) has operated a factory located in Tegal, Central Java. The new factory relocated from the previous factory located in Bogor with a capacity of up to 5 thousand dozen per month. "The initial stage of production capacity is not yet maximal, because it is still a trial phase," said Ricky Putra Globalindo Director Tirta Heru Citra to the press in Jakarta on Thursday (18 / 2018). The lack of production of the factory, making the absorption of new workers as many as 100 people. When fully operational the factory, which requires an investment of Rp 1 billion, it can employ 300 people. The factory status of Tegal Ricky Putra is rent for three years. In order to support the plant's operations, Ricky Putra utilizes 300 units of underwear production machine which is taken from an old factory in Bogor. In addition to Tegal, Ricky Putra has two other factories. Its location is in Cicalengka, Bandung with a production capacity of 60,000 bales yarn per year and a factory located in Bogor that can produce 30,000 pieces of men underwear.